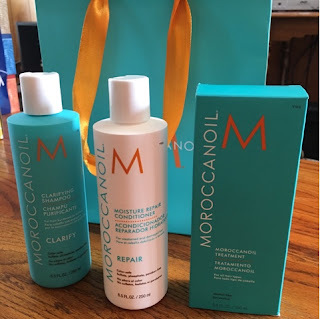 I just had my hair done at the Atlantis Salon in Atlantis Hotel and Casino, Reno, Nevada and I purchased this hair care products from them. It smells really good and it sounds very promising, we'll see what it can do to hair fall problem and my lifeless hair. The clarifying shampoo should be used sparingly, the hair treatment oil should be used anytime on dry or damp hair while conditioner can be used everyday.